Rationing and material restrictions did not cease immediately after the Second World War. 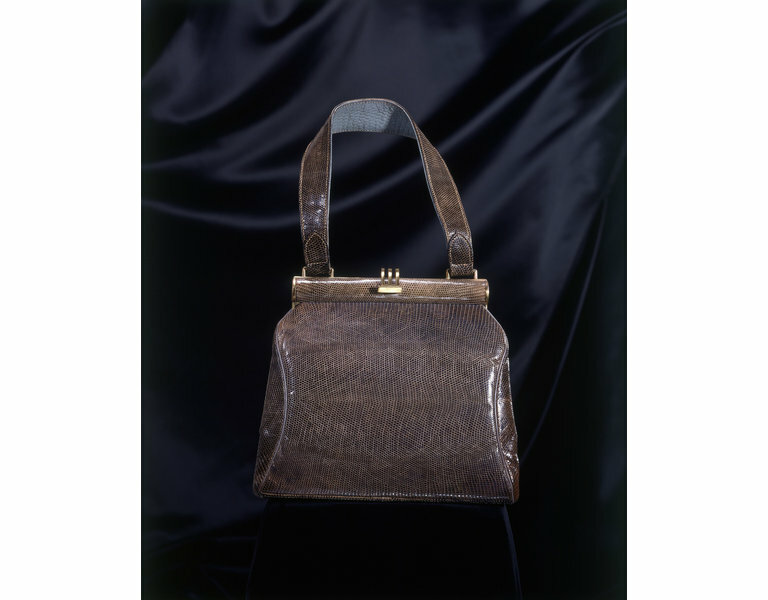 Dating from the first years after the war, this bag, made from top-quality reptile skin and lined in silk, would have been viewed as a luxury. It is characteristic of the smart, neat and stylish, but restrained, designs of the immediate post-war period. Styles at this time were either large and structured, or like this bag, smaller, and casual, to hang at the wrist. Made from top-quality skin and lined in silk, this handbag was highly priced. It is characteristic of the smart, neat and stylish, but restrained, designs of the period. 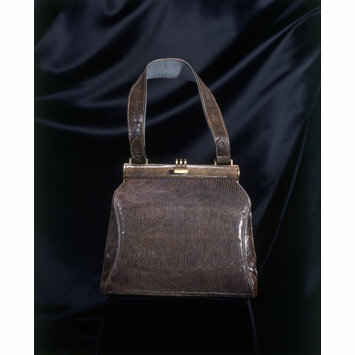 Handbag and purse of brown reptile (lizard) skin. The handbag is lined in silk. Gold metal clasp. 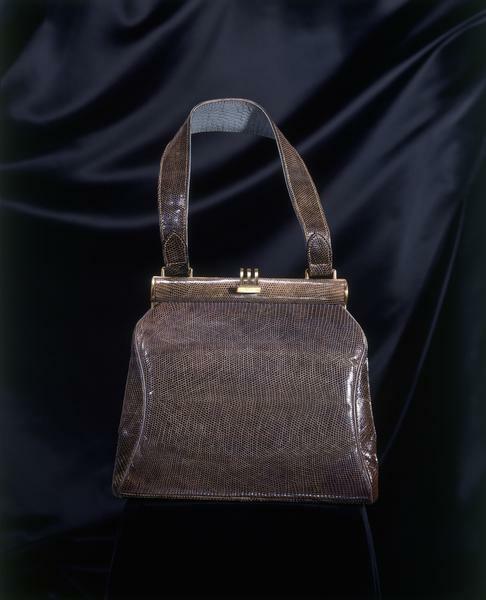 This handbag was shown with a similar Fassbender bag (T.171-1962) in 1997 'The Cutting Edge' exhibition. de la Haye, Amy, ed. The Cutting Edge: 50 Years of British Fashion 1947-1997. London : V&A Publications, 1997, p. 152 and 159.